Thank you so much for teaching Isabel during her first year and a half of ballet. She has come a long way from that shy girl who used to cry in class! She has really blossomed with your patient and loving teaching style. She has also received excellent technical training. We will forever be grateful to you! Class Description: The joys of creative motion as students explore awareness of music, rhythm, and movement. Through classroom activities, children refine motor skills and develop creativity, social skills, and body awareness! Specially designed for the pre-school student. Students at this level will have the option to participate in November and/or June performances. $48/month. Discounts available when enrolled by the term or by the year! Girls: Leotard (One complimentary leotard included with your registration fee; additional leotards available for purchase through Ballet Fantastique's front office); Pale pink footed tights; Pink ballet shoes; Hair should be pulled back neatly; No jewelry, please. 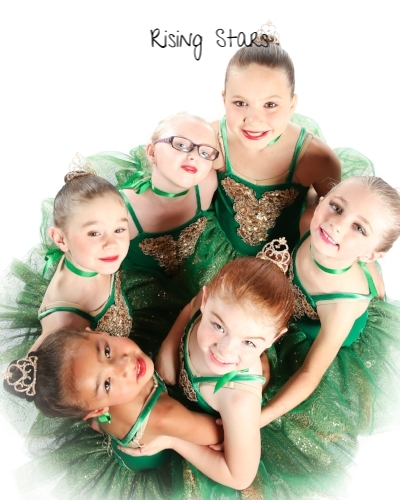 Class Description: Classes develop strength, creative thinking, rhythm, musicality, and expression. Students at this level will have the option to participate in November and/or June performances. $56/month for 1 class per week, $104/month for 2 classes per week. Discounts available when enrolled by the term or by the year! 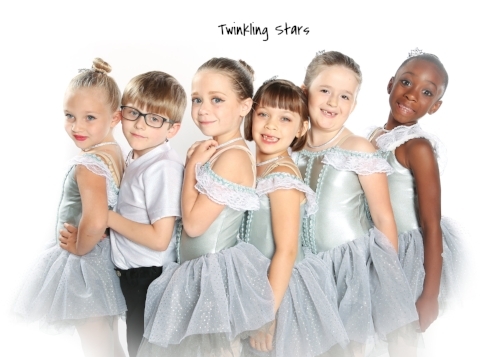 Class Description: Introductory "real stuff" dance in a more accelerated program, plus Ballet Fantastique's trademark dash of creativity, imagination and sparkle. Introduces children to the structure of a dance class, preparing them for future dance training or intensive athletic activity. Quality of movement, intricacy of patterns and expectations are elevated for the maturing child. Students at this level will be encouraged to participate in November and/or June performances. $56/month for 1 class per week, $104/month for 2 classes per week. Discounts available when enrolled by the term or by the year! Class Description: We've re-imagined our accelerated training program to rival the country's top training schools. In Ballet Brilliante, young artists and athletes build coordination, flexibility, strength, discipline, and confidence. This unique program also provides a necessary foundation for students who may wish to continue serious ballet training in the future. Both classes per week are required. Students at this level will have the option to participate in multiple performance pieces in the November and/or June performances. $98/month. Discounts available when enrolled by the term or by the year! Class Description: We've re-imagined our accelerated training program to rival the country's top training schools. In Ballet Brilliante, young artists and athletes build coordination, flexibility, strength, discipline, and confidence. This unique program also provides a necessary foundation for students who may wish to continue serious ballet training in the future. All three classes/week are required. Students at this level will have the option to participate in multiple performance pieces in the November and/or June performances. $144/month. Discounts available when enrolled by the term or by the year! "Thank you so much for teaching Isabel during her first year and a half of ballet. She has come a long way from that shy girl who used to cry in class! She has really blossomed with your patient and loving teaching style. She has also received excellent technical training. We will forever be grateful to you!" See above “DRESS CODE” button for attire guidelines. NOTE: We recommend that dancers come to the studio with dance clothes on, ready to dance. However, students should wear appropriate street shoes for travel to/from the studio: ballet slippers should never be worn outside, and a cover-up should always be worn. Please label dance slippers and other dance equipment with student initials, so that they can be returned to you if left behind. Dancers are also welcome to bring a water bottle (again, please label with initials). Necklaces and bracelets are not permitted in class. Street shoes are not permitted in the studio on the professional dance floor; please note that we ask everyone (parents and kids alike) to remove street shoes in the waiting area to keep the floor where our young children stretch and put on their shoes clean and safe. Thanks for your understanding! Hair should be neatly pulled back. Strollers should be folded whenever possible and should not be left blocking walkways. We do our best to keep the school a nut-free zone—please only bring nut-free snacks into the school. Valuables should not be left unattended. Ballet Fantastique is not responsible for lost articles. We appreciate your help in keeping the studio clean and safe. NOTE: We've found in many years of dance education that children do best in dance class when parents and family members leave the studio (and waiting area space) during class to maximize focus and minimize distraction for all young students. Thank you for helping us promote student learning. Advance Payment Discount: We appreciate your help keeping our bookkeeping costs down! In gratitude, we offer 5% off tuition to families able to pay in three term installments (September for Fall Term, January for Winter Term, and April for Spring Term), or 10% off for families who pay for the school year in one tuition installment at the time of enrollment. No cash refunds are offered. Please note that all classes are subject to change. BFan reserves the right to cancel or change classes based on enrollment, in which case, a refund of remaining tuition will be paid to you.